Today I had the pleasure to continue a tradition with my princesses. At the beginning of every summer the princesses and I enjoy a snowball at our favorite snowball stand in the area. 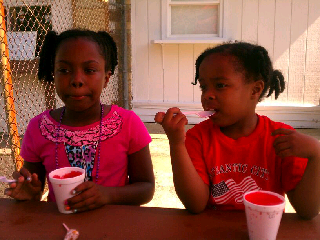 P.Mighty had strawberry cheesecake while P.Mini had cotton candy.